Visit us on Social Media and drop us a review! Welcome to Duane’s Radiator Shop in Williston, North Dakota. 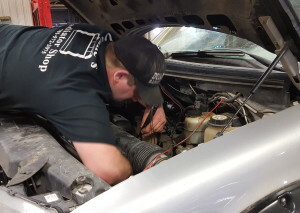 Our technicians will set you up with a free estimate, quality repairs, or new replacements to solve your issues. We specialize in automobile repair as well as radiator sales & service. We are your best source for extreme duty truck radiators, which are the only ones recommended for the Bakken oilfield roads. Duane’s has been serving the Williston Basin for over 50 years! We pride ourselves in having great customer service, fast lead times, and quality work you can depend on. To customers old and new, we thank you for your business and look forward to continuing business with you in the future! We always welcome walk-ins, or you can call ahead to schedule your appointment. We’d love to assist you in finding the best solution for your problems. Sign up for our newsletter to be first in line for special offers and discounts!